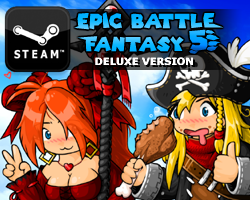 I’m still polishing off the rough edges on EBF5. Even though the game is basically finished, every day someone finds some new problems for me to fix. Some recent issues include: naming captured foes certain things could break your saved files, the Flashplayer Plugin was required for the Steam version to run when it shouldn’t be needed, and 2 treasure chests were still bugged. Better to fix stuff like this before launch rather than after, I suppose. 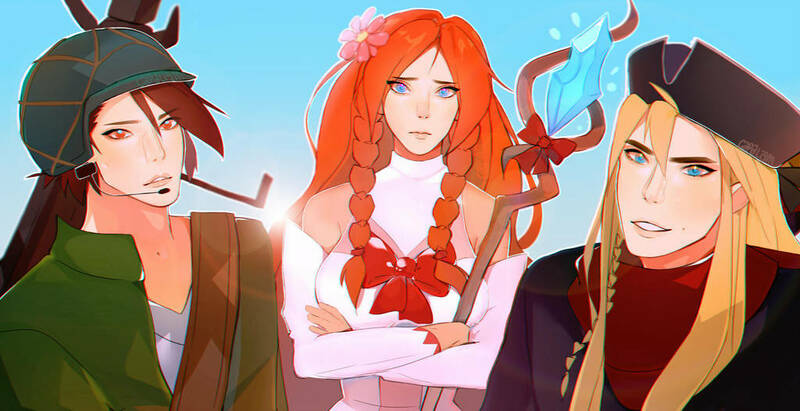 Anyway, here’s some older fanarts that haven’t been featured yet. 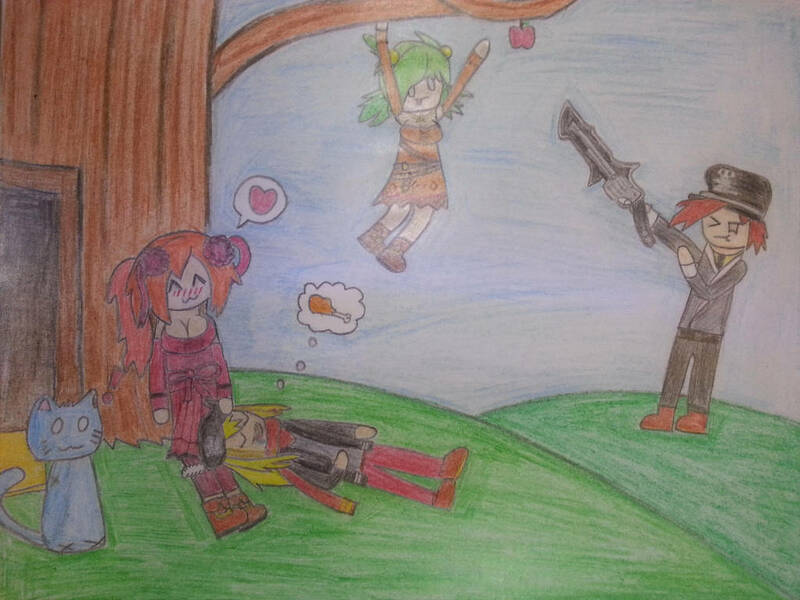 This entry was posted in Epic Battle Fantasy 5, Fanart on November 12, 2018 by Matt Roszak. Lance is either going to snipe Anna or an apple and I don’t know which is funnier. Obviously it’s Anna, and he’ll try to pass it off as aiming for the apple. nah nah, its ok, take you time. fix the errors is better than launch so early. I encountered a chest which first crashed my game, and on the second attempt froze it for quite a while before finally opening. It was on rainbow river; on the map to the right of rainbow gate. The one in the middle guarded by hermit creeps. If that isn’t one of the two mentioned perhaps that’s still a problem. It’s still doing that, i just checked just in case. Ah i just went to discord… figured that was a better idea than this piece of art i made after all… but it seems somebody reported that already yesterday… though not very specific. That’s one of them, yup. Glad to hear it, no more work there. Oooof, savefile bugs, the most heinous of all bugs. why are Matt and Lance so bishi in the second pic? Really glad to know you’re taking the time to do this. I’m sure it will turn out great and I cant wait! PS. have you ever thought of expanding Kupo games after this? Right now its just a one man team with some translators but i’m sure it could be much more. Not to be rude but … Hurry up ! I’m running out of hype ! 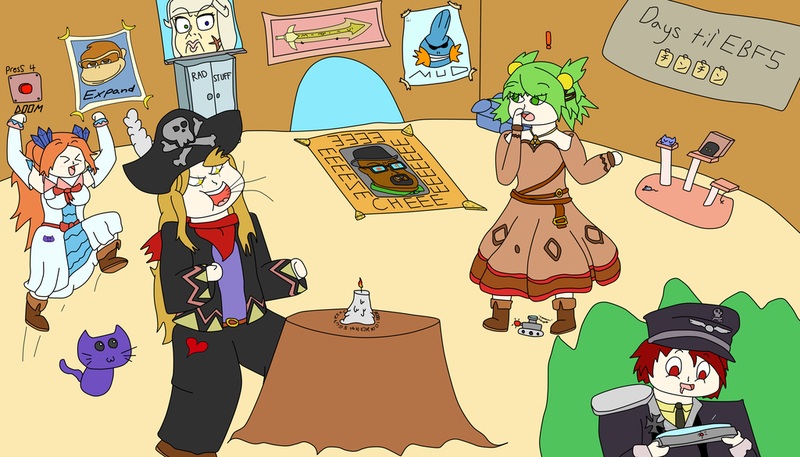 The following is a non-profit, fan based parody! Dragon Ball, Dragon Ball Z, Dragon Ball GT are all owned by Funimation, Toei Animation, Fuji-TV and Akira Toriyama. 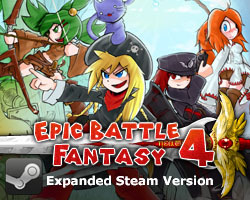 The Epic Battle Fantasy Series is entirely and originally created by Matt Roszak. Please support the official releases. Fabled? Why you puffed up ignorant! THE HYPE IS REAL, DAMN YOU! I felt it, i saw it. There i was, reading posts on this site for year after year, and something grew inside of me. It was a bit like sitting on a rollercoaster, only less wind resistance was required. And then there was a post… Matt probably said to himself “I’m gonna hafta triple my Kaioken.” And I felt the hype growing, I was all “I hope my body can take it.” In the end I almost died… Shenron wouldn’t have been happy about that one. But, see, the Hype is very real. And it almost cost me my life. However, it all has been worth it in the end. For on the 30th of November, limits will be shattered into pieces. ULTRA DISTINCT, it shall be the best game ever released by Matt, the Hype will peak and then be no more, for when the joy overwhelms me at that day, i shall rise to become a legend. The Super-Gamerjin! This more or less entertaining, yet very much dim-witted bogus has been brought and presented to you by TyloTV™, factory direct to you!